An exclusive neighbourhood in highbrow Victoria Island is home to this centre that provides a mix of contemporary serviced work and living spaces. The fully furnished and equipped workspaces come with an array of administrative and technical support services to meet all your business needs and are within minutes of the Bar Beach. There are also hotels close by at which you can accommodate your visitors. This centre is perfect for those wishing to personalise their office-space within a prestigious area of Lagos. The work-space is unfurnished which provides the opportunity to tailor the space to suit your own specific needs. The centre is accessible 24-hours a day which makes it a good location for developing businesses required to deal with overseas clients. It is also possible to take advantage of the secure parking available on-site. The centre is well situated in a popular area of Lagos with good access to public transport and surrounded by local amenities such as restaurants, bars and retail outlets. This serviced business centre offers a range of newly constructed office spaces in a modern building set within a comfortable and well connected area of Lagos. The centre itself provides such inclusive facilities as secure parking, 24-hour access, on-site management, large training rooms and new furnishings; with the area also benefiting from the excellent local transport links which connect the site with the wider reaches of the city via road and rail. 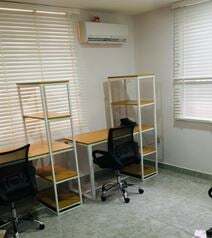 Wonderfully located at the heart of the city in the residential area of Gbagada this office space consists of four rooms suitable for start-ups and existing businesses alike. This centre maintains 24-hour access and has access to a great parking facility on-site. Here, your business can take advantage of the central location within the city, making it easy for you to maintain relationships across the city. Perched on top of this modern building, in the heart of Ikoyi, this penthouse centre provides a range of options from daily passes, shared and dedicated desks to serviced offices. Tenants have access to a gym and swimming pool as well as panoramic views of the city and the sea. Memberships are flexible, and comes with high speed Wi-Fi, meeting rooms, lounge area and unlimited beverages. There are lots of local amenities within reach, from restaurants to hotels and shops. This business centre is well situated in the heart of Victoria Island, with access to many useful services that will benefit your developing business. These include, spacious meeting rooms, fibre optic broadband, communal kitchen and a dedicated reception desk to greet guests with professionalism. The area is home to several large commercial entities, as well as being surrounded by a large range of local amenities including bars, restaurants, hotels and banks. Spread across 4 floor this business centre in Lagos is found in a very central location right in the business and economic capital. The affluent district of Ikoyi has recently become home to high end residential housing, bringing with it the upper class of Lagos and stunning shopping facilities. There are several large corporations in the surroundings, allowing for plenty of opportunity to network and expand your business contacts. The centre offers a variety of office space, whether you are looking for a single desk space in an open collaborative environment or a private office for your project team. There are several benefits to your membership here including reception services, mail handling and telephone answering. Located strategically in the economic and financial capital of Lagos, this business centre provides innovative, modern and professional workspaces. You can not only work in a stylish setting but also benefit from workspaces that are highly functional and provide you with everything you need for your working day to go smoothly. You will be surrounded by multinational companies working in retail, telecoms and more - giving you ample opportunity to network. There are several more amenities nearby including high-end shopping. The centre benefits from excellent public transport links. An unmissable opportunity to launch your very own business in this bestowed leased office. These offices offer top of the range facilities with flexible rental terms, coupled with outstanding business and hospitality services from their staffs. It is equipped with a lovely greeting hall and a number of business rooms, all superbly furnished throughout and offers 24-hour access. State-of-the-art IT infrastructure and communication services are available as standard. Prestigious location for thriving businesses in downtown Lagos surrounded by restaurants, cafés, clubs and public transportation. 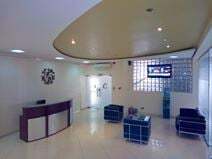 One of the newest serviced office spaces in the dynamic city of Lagos tenants have access to stylishly appointed office space, excellent client care and superb professional services in the most affluent neighborhood of Lagos. It lies to the northeast of Obalende, adjoining Lagos Island to the west and is at the edge of the Lagos Lagoon. The offices are stylishly furnished and provide a working environment that is highly conducive to productivity with absolutely no distractions. This modern business centre is found in the well known district of Surulere, on the highbrow street of Bode Thomas Street, allowing you to connect easily with other area of Lagos state. The business centre provides a variety of business services, providing comprehensive support to start ups and entrepreneurs through legal services, financial advisory, printing, copying and scanning facilities. The centre offers discounted event spaces for members which can be utilised for training or event purposes. The centre also holds regular networking events with industry experts. Offering a great selection of professional and modern office spaces in the heart of Lagos, this business centre is located in the iconic Elephant House building in Lagos Island. The centre offers high end and contemporary spaces, including hot desks, dedicated desks, open plan offices and private working areas. You can also easily access meeting rooms and a conferencing rooms. Further facilities include high speed internet, printing facilities and more. Located in the business centre of Victoria Island, Lagos, this centre provides high quality, cost-effective solutions for those wishing to make a mark on the economy of Nigeria. The office-space features 24-hour security, reception desk, meeting rooms, secure parking and meeting rooms. The location is perfect for a developing business as it is extremely well connected via public transport, as well as being surrounded by a number of helpful amenities such as bars, restaurants and hotels. Providing plug-and-play office space this centre is located on Victoria Island, Lagos commercial hub. Spread over 300m² the space consists of eight private office suites and a meeting room for tenants" use. 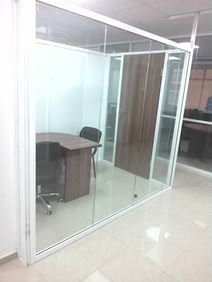 The space is of prime office standards, with minimalist features, frosted frame-less glass partitioning, premium lighting features, and exquisite potted plants. Safety and security is taken seriously, and therefore the facility is equipped with smoke detectors, fire alarms, a dedicated fire exit and muster point, and other fire safety precautions. Situated in the Ikoyi business district these cost-effective office spaces provide an ideal work environment whether you"re an entrepreneur, multinational or SME, start-up or established conglomerate. The centre features on-site administrative support, spacious meeting rooms, high-speed internet, conference facilities and a secure parking facility. The location is ideal for your developing business as it is situated in the heart of the Lagos business district and is extremely well connected via public transport links such as the Terminus train station being a short drive away. Surrounding the office building is a host of useful amenities including eateries, cafés and restaurants. This centre is well situated in a prestigious commercial shopping area and offers both co working and serviced office opportunities. It maintains 24-hour access allowing for employees to work at any time, as well as providing a professional on-site team that can assist your business with any queries that may arise. The offices arrive fully furnished and there are spacious meeting rooms and conference facilities at your disposal. The space is well situated in Sangotedo with adequate access to the surrounding areas. Within the shopping area wherein this centre is located, there is a wide range of useful amenities including restaurants, bars, cafés and shops for relaxing outside of working hours. This centre is extremely useful for developing businesses and hosts many helpful services including; 24-hour access, telephone lines, conference rooms, high-speed internet and secure parking. Also, there is a dedicated reception desk able to assist with any queries or issues that may arise, as well as undertaking an array of administrative duties. The location is particularly useful in terms of public transport, a mere 5-minute drive from the local Airports. Here, there are a number of restaurants surrounding the centre which are great for any business wishing to set up here. 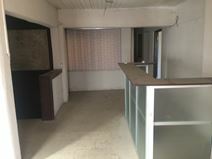 This remarkable rental office is actually a modernized business construction in the centre of Lagos. The office has comfortable meeting/conference rooms, welcoming reception area and high- speed Internet. There is also an exclusive support team of professional staffs who are readily available to provide assistance in developing your business in and around Nigeria. The office is within close proximity to shops, offices, banks, eateries and also to main attractions in the historic Lagos Coastline. In the heart of Victoria Island, Lagos this business centre is close to all of the local amenities that you could need, offering both fully equipped conferencing facilities or office suites for the longer terms. There is a mix of serviced and co-working options available. This space is ideally suited to start up enterprises and already thriving organizations alike. At this location, you will have easy access to many local amenities, such as restaurants, hotels, supermarkets, and events venues. This centre is well situated on Victoria Island and features an array of helpful amenities including; lounge areas, 24-hour access, conferencing facilities, reception services and luxury spa. The building is surrounded by local amenities including a diverse range of shopping opportunities and eateries, as well as being extremely close to a beautiful beach front and resort. The centre is well connected in terms of public transport as well, only 5-miles from Lagos Terminus Train Station. This new business centre is centrally located in Lagos island, providing a comfortable workspace highly conducive to productivity in order to match client business and lifestyle. Here, clients can have both co-working desks and dedicated office space and the opportunity to make use of the meeting room that is on-site. 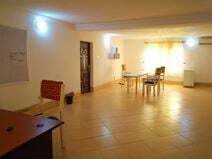 The rental price is all inclusive, covering the office space itself, utilities, internet connection, kitchen & secretarial functions and cleaning. These fully furnished offices are located in the heart of Ikoyi. The space is accessible 24 hours a day making it a flexible working environment and you can come and go as you please. The office boasts a large meeting room and spacious break out areas to use to catch up with colleagues and clients. The space can be accessed by both car and public transport. The closest bus station is only five-minutes walk away from the office. If commuting by car is something you do more often there is a on-site car park where you can safely store your car during working hours. Semi-enclosed and enclosed workspaces as well as co-working is available at this centre just 15 minutes from Lagos International Airport. The serene and secure environment provides easy access to the major business hubs of the city such as Lagos Island, Ikoyi and Victoria Island, Apapa and Ikeja. It is within the vicinity of several 3 and 4 star hotels, yet ensconced in a serene and secure neighborhood, making it the perfect location in which to accommodate visiting clients. This leased office is housed within a stylish building in the heart of Lagos, set aback in a lovely surrounding. Amongst the facilities offered include a business lounge, dedicated broadband, fully equipped meeting rooms and latest IT infrastructure, all these backed up by professional support staffs. There is a wide choice of amenities nearby including luxurious hotels, fine dining restaurants and shopping malls. Within walking distance of Nairobi's business district, this luxurious business centre is set in a stunning green landscape, in an area which hosts numerous other businesses and is fast developing and growing. Designed to a high standard and elegantly decorated, this building offers first-class office solutions equipped with the latest IT systems and with quality furniture to offer an exclusive working environment. The centre is situated in a prestigious and serene part of Victoria Island, the hub of the Lagos metropolis. This business centre offers 4 furnished office suites in flexible arrangements. A range of other amenities is available including meeting room, conference room and coffee lounge. The centre is also accessible 24-hours a day with secure parking available as well. The location is idyllic and prestigious, in the heart of the commercial district. Surrounding the centre is a host of local amenities to be taken advantage of such as bars, restaurants, hotels and banks. This business centre located in the heart of Lekki provides a professional workspace shared with other like-minded professionals. The space itself is accessible Mon-Fri between the hours of 0900-2100 and on Saturdays 0600-1800. Once at the space you can make use of the on-site car parking. If you meet with clients often you can make use of the on-site meeting room providing you with a professional and confidential environment. Focused towards start-ups and entrepreneurs this modern and chic co-working environment is located in the heart of Lagos. The space has been created to encourage the sharing of ideas, innovation and resources. A number of learning classes are also available to expand knowledge. Beyond the space, this centre will provide a selection of interactive learning classes that will cover topics such as branding, marketing, creative thinking, project management so that individuals can develop skills that give their work and play new energy. Just 18 miles from Lagos International Airport, this three-storey building overlooks a recreation club and provides flexible space for businesses of a range of size. 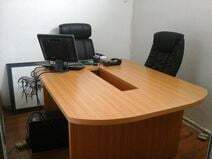 All offices are fully furnished while meeting rooms and boardrooms are also available for use. 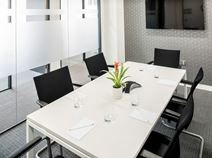 Here, there are spacious meeting rooms, conference facilities, dedicated reception desk, sophisticated security systems and high-speed internet. The location is ideal, well situated close to several public transport links, such as the International Airport and a mere 2-minute walk from a five star hotel overlooking a recreational activities club. This office building provides a wide range of facilities such as spacious meeting rooms, high speed internet access and business lounges. Professional business support and reception services are also available. This building is just a stone’s throw away from well-known apartments and other amenities such as restaurants, bars and hotels, as well as being particularly well connected through public transport links. Located in the business hub of Lagos and just ten minutes from the Lekki-Epe Expressway these office suites are on the first floor of a modern building that looks out to sea. Spaces are available for between two to 18 people with a variety of business support services available. This centre boasts 24 hour security, meeting rooms, conference facilities and a dedicated reception desk which is available to undertake all the administrative duties of the office as well as greeting employees and clients with professionalism. The location is ideal and well connected to local amenities and public transport links, allowing your business to stay connected at all times. This office space spans across 3 beautifully decorated floors. The building is modern and located in a prestigious area. The centre offers a range of amenities and professional services for tenants, including administrative and business support, 24 hour access and high speed internet access. The building is only minutes away from the Lekki-Ikoyi link bridge and surrounded by plenty of local amenities.